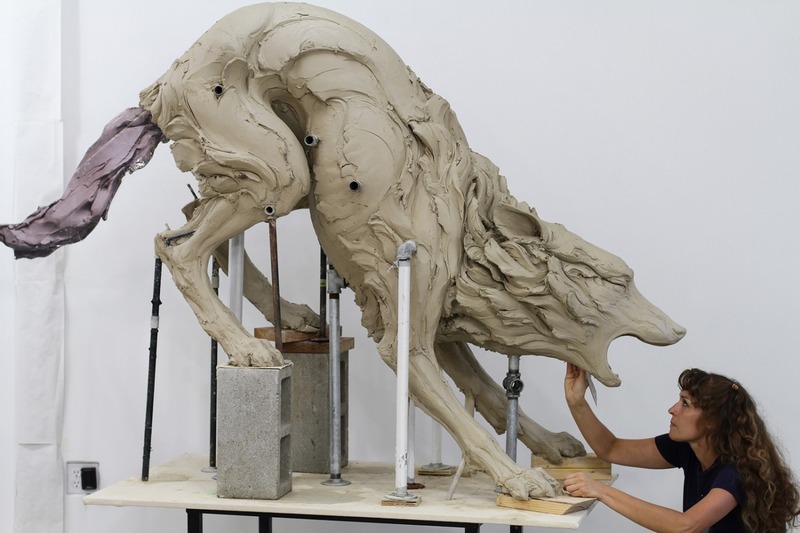 The sculptures she creates focus on human psychology, stripped of context and rationalization, and articulated through animal and human forms. On the surface, these figures are simply feral and domestic individuals suspended in a moment of tension. Beneath the surface, they embody the consequences of human fear, apathy, aggression, and misunderstanding.